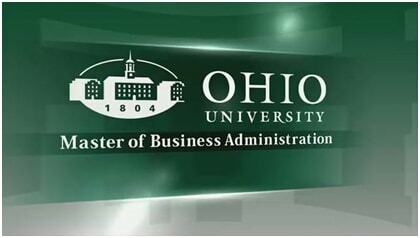 MBA admission requirements in Ohio University: www.ohio.edu is a large public US university located in Athens, Ohio. It is ranked among one of the top universities by enrollment. It offers undergraduate, graduate and doctoral programs and runs online and distance learning programs as well. Ohio University is committed to provide stimulating and challenging learning experience. Ohio offers full time MBA program, online MBA program, dual degree in business administration and sports administration. MBA degree offered by Ohio University is highly ranked. The university offers four different concentrations and follows holistic approach for admission to its MBA program. Candidates seeking admission to the full time MBA need to meet certain requirements. It requires for candidates to have professional work experience of two or more years. You have to provide three letters of recommendation from your work professional or supervisor and academic references that speak about your ability, potential, leadership quality etc. It doesn’t require any GMAT/GRE score. Students can apply for the MBA degree program online at www.business.ohio.edu. Application deadline is November 30 for the program commencing from January, whereas it is June 30 for the program starting from August. Visit ‘Login’ drop down menu option displayed on top of the home page. Click ‘My Ohio’ option. Go on ‘Sign in’ button displayed on top right of the screen. Enter your OHIO id and password and click ‘Login’ button. In order to have your login credentials, you must have activated your account for the first time providing your PID number and birth date. If you have any difficulties, you can call Ohio University’s OIT Service Desk at 740.593.1222. Candidates seeking admission to the full time MBA in Ohio University need to meet certain requirements. Students can apply for the MBA degree program online at www.business.ohio.edu.